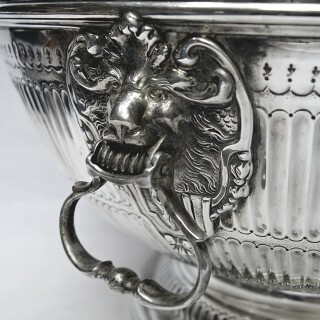 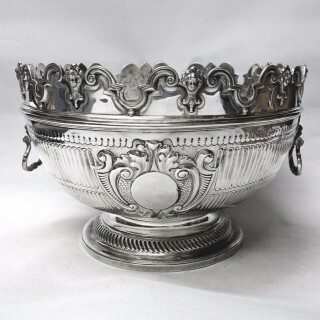 A large and handsome antique sterling punch bowl in the early 18th century style with lions mask side handles, typical ribbed body decoration and a decorative cartouche to the front. 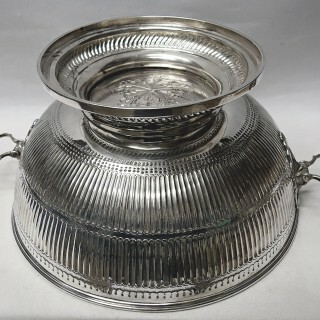 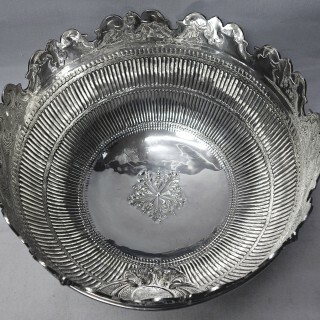 The shaped scalloped rim is detachable; this is used to hold stem glasses, punch ladle and lemon squeezer and a bowl of this type is referred to as a Monteith. 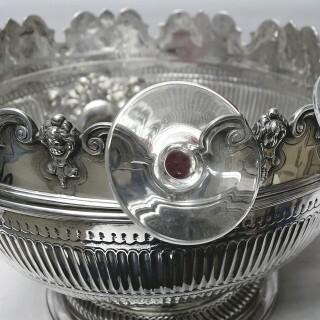 Weight of silver 3426 grams, 110 troy ounces. 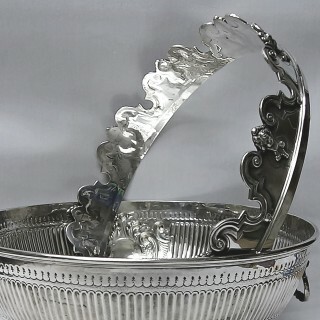 Height 19 cms (without rim), 25 cms (with rim), diameter 37 cms. 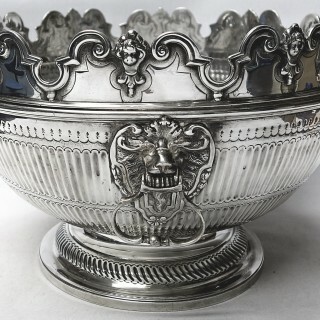 London 1877. Maker Charles Stuart Harris. 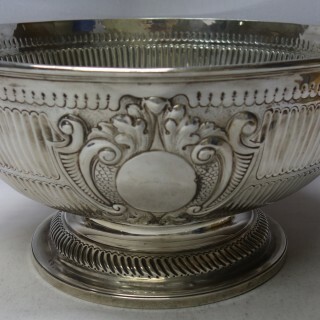 This useful bowl is in very good condition with no damage or restoration. 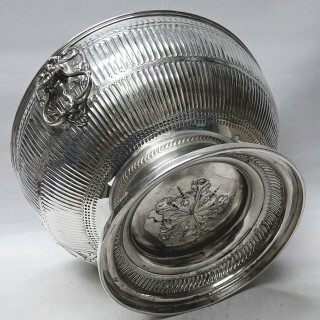 The engraving is crisp. 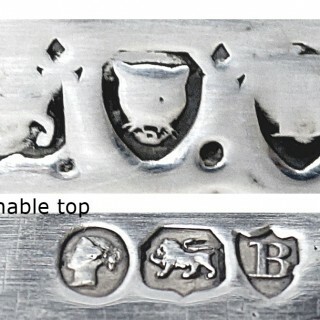 Stamped with a full set of English silver marks.